Our premium range of luxury cotton tights consists of over 50 different colours and come in sizes from new born up to 15 years old. Made in Europe with the attention to detail you would expect from Country Kids. They feature fully-fashioned reciprocated heel, flat seaming throughout and a full European panel/diamond gusset for exceptional comfort and a perfect fit. We are very proud of our luxury cotton tights, the range has grown over the years to now offer the widest range of colours and sizes available anywhere. There really will be something in this range of luxury cotton tights to complement any outfit. 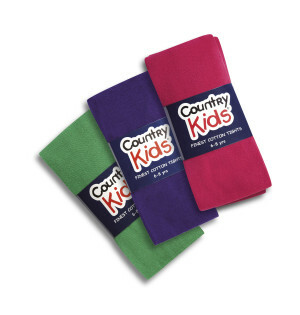 At Country Kids we are best known for our versatile range of socks and tights for both boys and girls. Made from the softest cotton blend for optimum comfort, the collection consists of both basic and quirky prints to suit any occasion. Why not visit our luxury cotton tights section now?